Hair envy is something which I’ve had to deal with throughout my life. I wasn’t blessed with beautiful thick hair that just falls into place when I wake up in the morning. I have limp, flat, lifeless hair and have to really rely on products to inject life into it. Over the years I’ve started to realise the real benefits of having thin hair – it’s malleable and can hold a hairstyle all day. Again the right products to achieve this is something that i’ve tried, tested and perfected. Volume usually requires heat so firstly heat protection is key before combatting my mane. Secondly thickening products that don’t leave residue or weigh down my hair is something I really look for as I want my hair to bounce and still have fluidity to it. 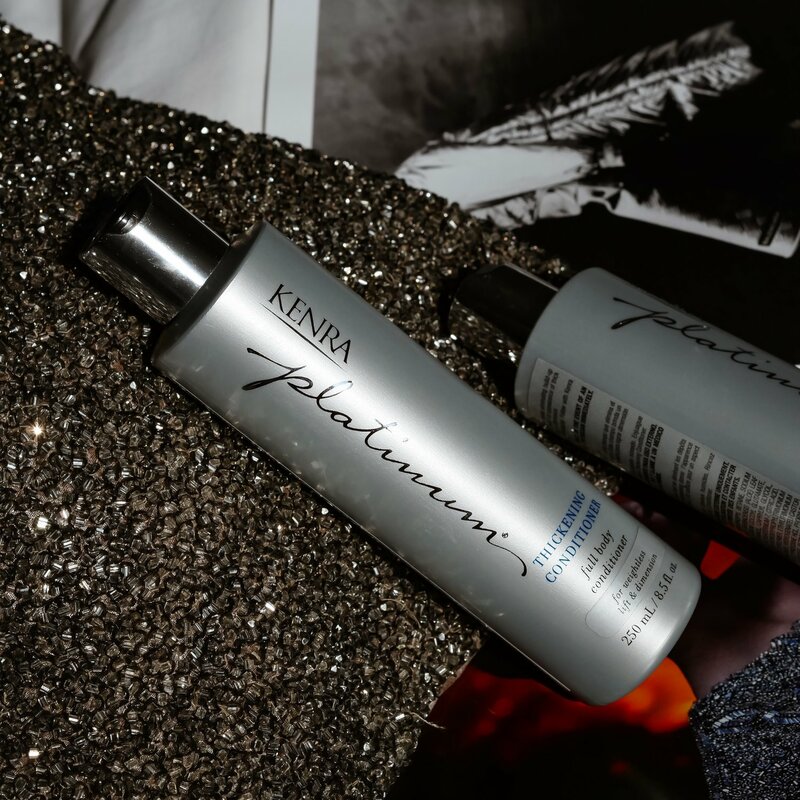 So I’ve collaborated with Kenra Professional to introduce you to their new Platinum Range. First of all (un-hair related) let’s just take a minute to appreciate the beautiful packaging perfect to sit on a shower shelf (priorities). 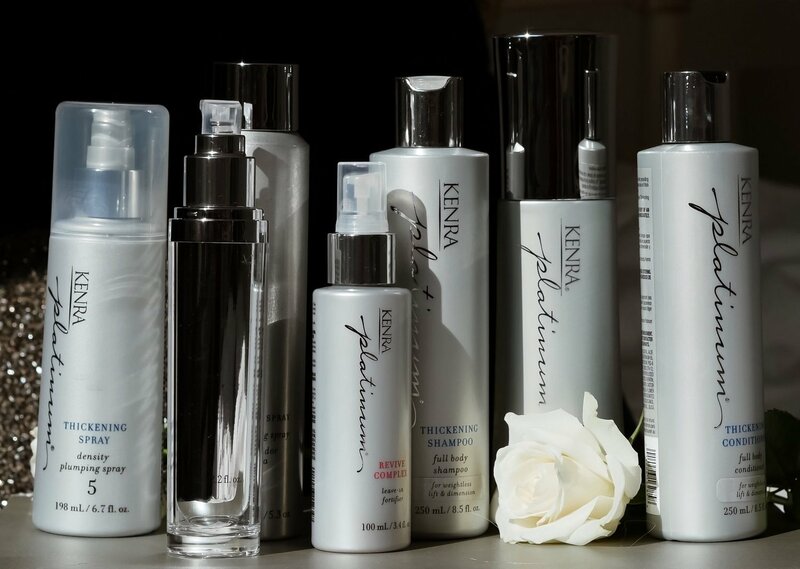 It’s new to the UK but used by professional stylists all over the world to help them in their everyday styling – so the fact we can use them in our own home as well is a bonus! 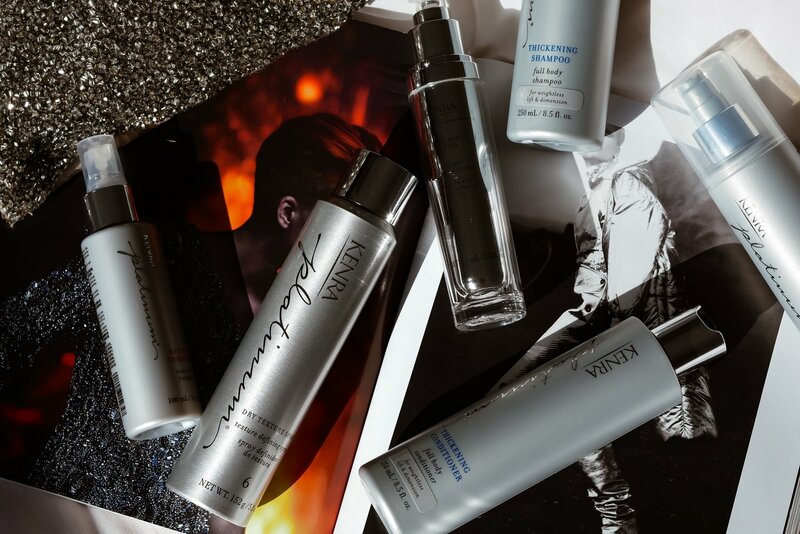 What I love about these products is the fact they’re made without sulfates, parabens and sodium chloride, not only ticking the box for sensitive skin but saving the colour of your hair. We all know if we have coloured hair to avoid products with sulfate in as it strips the dye. This shampoo and conditioner increases the diameter of each hair strand without weighing it down setting this range apart from other thickening products I have previously used. 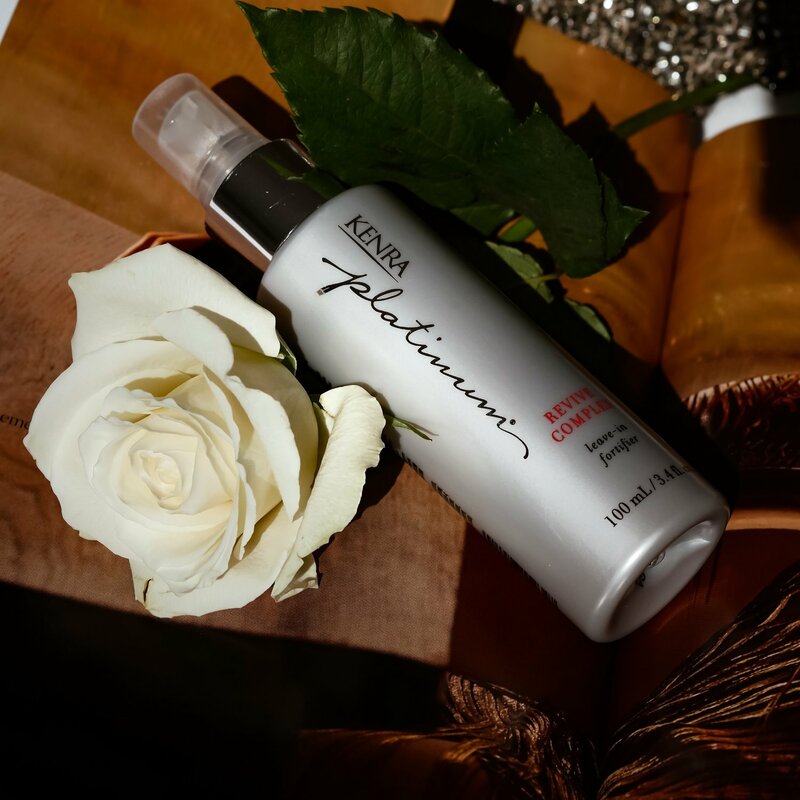 Sprayed on wet hair and combed evenly throughout, this spray is a little gem to increase hair thickness by up to 96 percent. Tried and tested it left no residue and my hair felt perfectly smooth afterwards without producing flakes which is so commonly seen when using hairspray or mousse for lift. It’s a great alternative to sticky products like mousse for a fresher more natural finish. If I was to take one product with me to a desert island this would definitely be it. 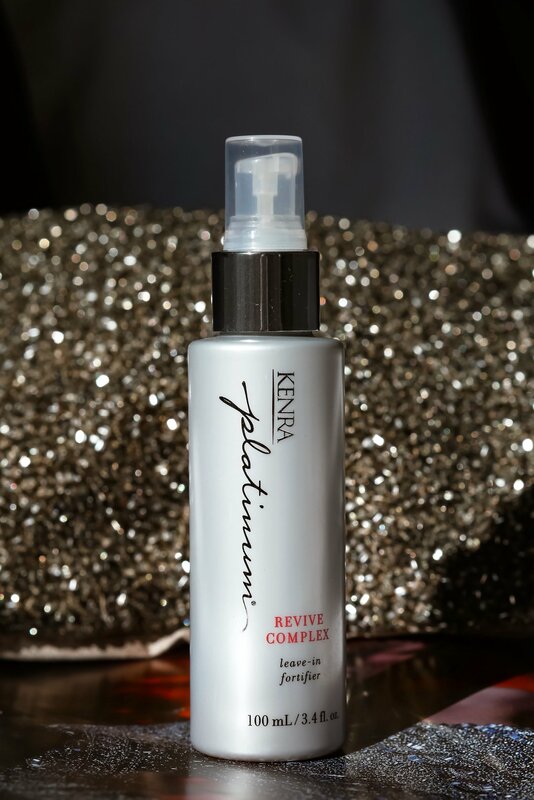 So turning to the end of your hair and concentrating on brittle ends this revive complex is great way to prevent those unwanted breakages. It also acts as a heat defence protecting your hair up to 232°C so it’s a multi use product combatting breakages before and after they happen. If you have long thick hair this product may be perfect for you! Don’t have time to spend drying your hair? 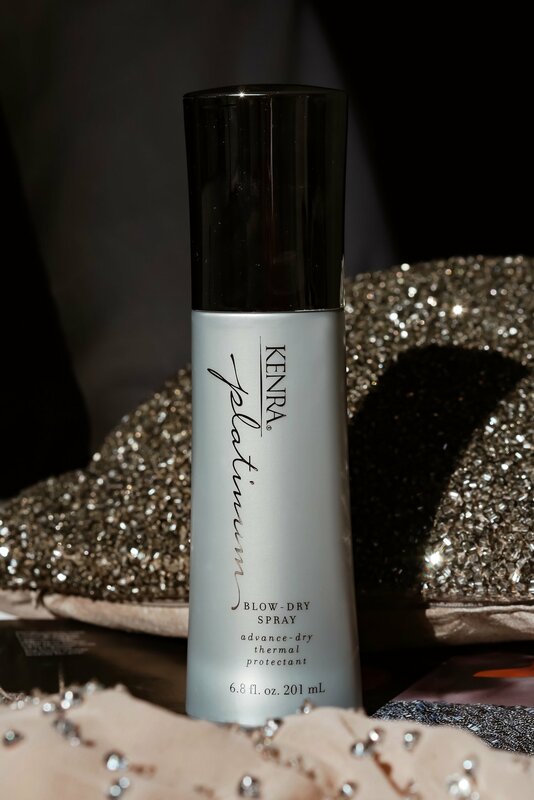 By simply spraying evenly throughout damp hair this blow-dry spray can reduce drying time by up to 50 percent. It’s also great for detangling and again like the rest of the products in this range a really lightweight formula. I like to apply a bit of hairspray after I’ve finished styling to hold everything in place concentrating around the roots. 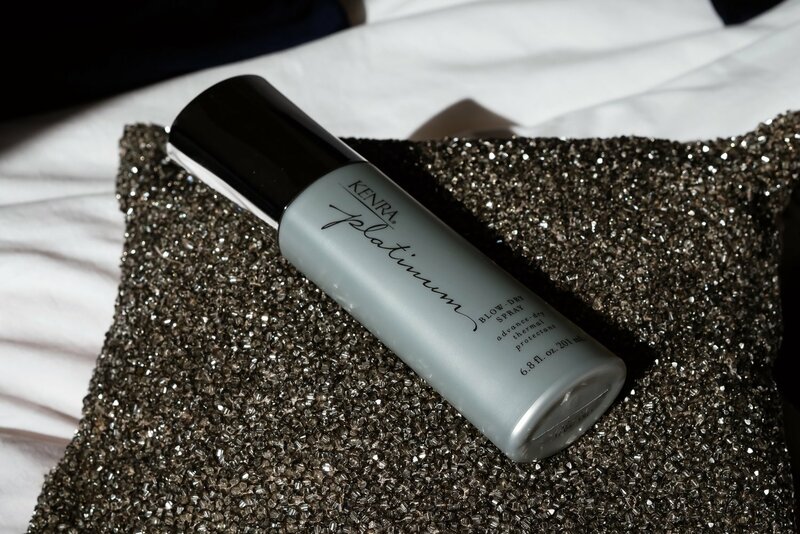 This dry texture spray adds texture and fullness and also absorbs oils and impurities – perfect if you haven’t washed your hair for a couple of days! The flexible hold means that your hair doesn’t become ‘stiff’ after use and has a non-drying formula to avoid breakages. The cherry on top of the cake is the silkening gloss to add a little bit of shine and gloss to the finishing look. 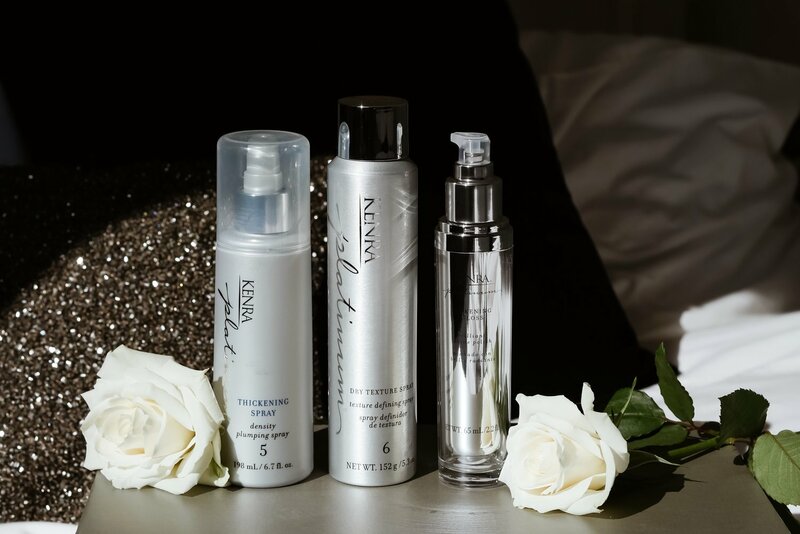 It stops the frizz and fly away split end in the humidity and again an ultra-lightweight product to keep you hair looking bouncy and full of life! 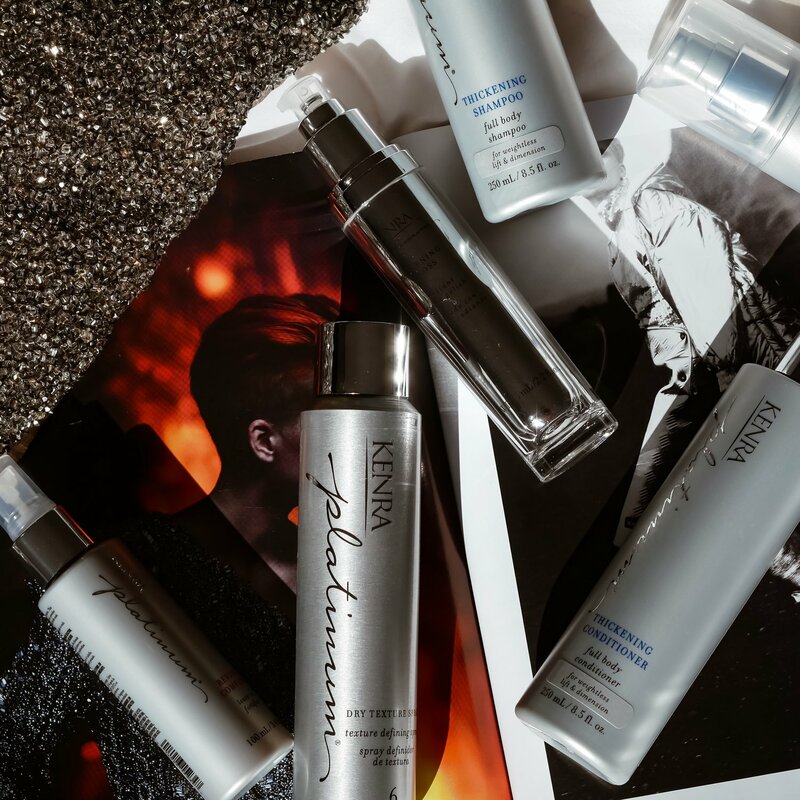 WATCH MY EVERYDAY HAIR ROUTINE USING ALL THE KENRA PROFESSIONAL PLATINUM PRODUCTS BELOW!